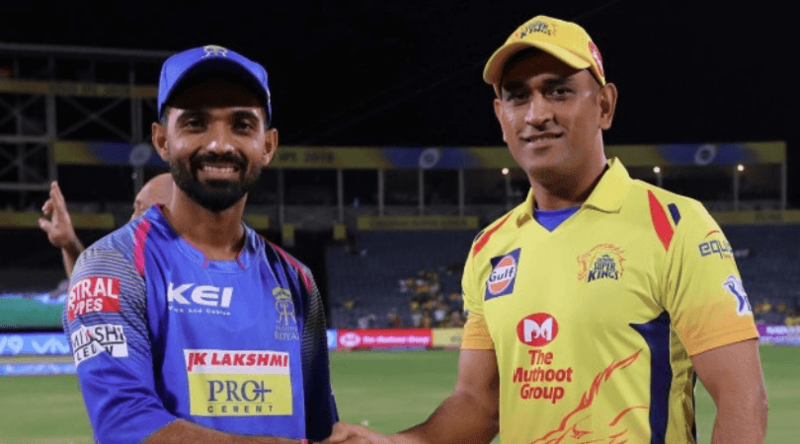 IPL 2019 RR vs CSK: Rajasthan Royals will be faced defending champion Chennai Super Kings and the home team will be keen on avenging their defeat earlier this season. Chennai Super Kings won the previous game against the KKR at home on a slow turner but the pitch in Jaipur are different. CSK Team might rest Shane Watson in this game who is a tad of color this season. Steve Smith looks comfortable batting at number three and should continue even if Sanju Samson returns. Mahipal Lomror might also come in as all-rounders. Temperature will be 40 degree Celsius on Thursday in Jaipur. this will be tough for players to play the match. however, It will come down to 35-37 during the match. Pitch Reports: As per the previous encounter as the home team huffed and puffed to 139 runs. So, it is very easy to chase the runs. RR Probable Playing XI: Ajinkya Rahane (c), Jos Buttler (wk), Steve Smith, Sanju Samson, Rahul Tripathi, Ben Stokes, Krishnappa Gowtham, Mahipal Lomror, Shreyas Gopal, Jofra Archer, Dhawal Kulkarni. CSK Probable Playing XI: Sam Billings, Faf du Plessis, Suresh Raina, Ambati Rayudu, Kedar Jadhav, MS Dhoni (c)(wk), Ravindra Jadeja, Deepak Chahar, Harbhajan Singh, Imran Tahir, Scott Kuggeleijn. SportBuzz is blogger, and always billing to writing article related to Sports, Cricket, Football, Basketball and other Sports.